All that data – combined with advancements in processing and compute power, and cloud computing – has made artificial intelligence (AI) and machine learning innovation possible. These technologies are game-changers for machine automation and productivity. We’re giving machines the ability to learn and think – just like we do as humans. The devices, cars, and systems we rely on are getting smarter – with intelligence and compute power that can analyze data and patterns to help make informed decisions that lead to tangible business outcomes. Think about the last time you shopped online and that recommendation for an additional purchase was spot on, or your favorite music app served up the right song at the right time. How’d they know? These are simple examples, but what they have in common are systems that quickly make sense of data and patterns to predict what you need and want, when you need and want it. And for enterprise organizations – that’s a huge competitive advantage when it comes to customer loyalty, engagement and satisfaction. These advancements are more than 50 years in the making, with some of the world’s brightest minds and visionaries in history – from Alan Turing to Ray Kurzweil and Stephen Hawking – pushing the limits (and philosophical debates) on what’s possible with algorithms and code. And while the thought of singularity and AI-powered humanoids is fantastic science fiction and makes for great TV and movies – what I’m most excited about is the way AI and machine learning are going to bring real business and personal value to our everyday lives right now, and in the future. By the time we hit 2030, we’ll be working alongside machines in ways we once only dreamed about. The way we learn, work, bank, commute – even how we experience the routine health check-up, all changes. I also spend a lot of time thinking about how we take all those AI smarts and integrate them as part of the products and services that we deliver. As a 30-year veteran, I’ve had a front-row seat to this evolution – but haven’t just watched. The collective businesses that make up Dell Technologies’ have anticipated the trends, and played a role in computing and data center innovation that now spans compute and processing, data, AI, machine learning and analytics to deliver an entire end-to-end IT infrastructure from the edge to the core to the cloud that makes Digital Transformation possible. In fact, our Products and Operations organization is the only one of its kind to look across the entire IT infrastructure and deliver the solutions and services that combined, are a game-changing force for our customers. Our infrastructure solutions are getting smarter about data by learning from data. For example, we’re bringing more autonomous storage capabilities into our SC All Flash portfolio that can quickly make a decision about how and where data should be stored and protected based on its unique characteristics – critical when you think about the huge sets of data AI and machine learning are dependent upon. We recently announced new Ready Bundles for Machine and Deep Learning to make high-performance computing (HPC) more accessible for organizations, delivering faster, better and deeper data insights that advance analytics for business intelligence. We’re collaborating with Toshiba Digital Solutions to build AI for mission-critical use cases, such as preventive maintenance, crime prevention, disaster recovery, cyber security, demand prediction and transportation quality improvement. We’re going all in on IoT with a brand new division dedicated to helping our customers maximize their opportunity in the market with services, solutions and financing options. For instance, did you ever think you could make kale taste better and grow at scale in an urban warehouse through the power of analytics? Well, that’s exactly what AeroFarms is doing with our edge computing solutions and VMware at the heart of their IT operation. We’re bringing AI-driven productivity to PC computing with Dell Precision Optimizer that uses machine learning and cognitive technologies to automatically set up the desktop experience based on what it’s learned about the usage of that workstation and the necessary performance. And it learns over time, automatically adjusting every time a user logs in – driving speed in productivity and worker satisfaction. And, we’re changing how often you have to change that laptop battery with machine learning built right into the battery pack, firing up and down based on peak usage hours and activities. 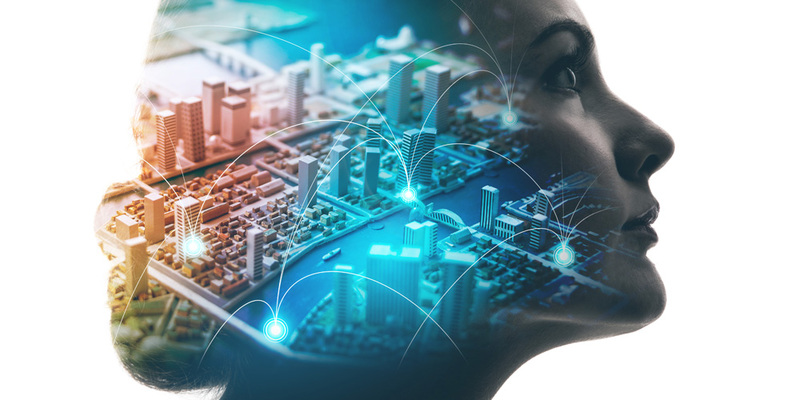 Dell EMC CTO John Roese recently discussed how AI will do the thinking tasks while we humans can dedicate our brain power to more sophisticated tasks – or even earn ourselves a little more R&R to work better and smarter. We can let the machines multi-task a bit more, and we as humans can start to focus more on how to apply the learnings and data that our machine counterparts present to solve some of the biggest challenges in society – be it a more sustainable way to make plastic and keep it out of the ocean, or how to predict where natural disasters may strike next. Early signs of AI for good is what Pivotal did with their client the Circular Board – together they launched Alice – the first-ever artificial intelligence platform to connect women entrepreneurs in real time with the resources they need to scale based on start-up stage, location, industry, revenue and individual needs. As Alice populates, machine learning will allow her to predict founders’ needs to guide them to referrals, events, mentors and even access to capital. These are just a few of the ways Dell Technologies is driving the AI and machine learning evolution. And we’re just getting started. Every day we are learning new things, and with the help of our machine partners, the opportunities ahead are endless. And this is just the beginning of the conversation – we’ll be talking a lot more about how customers are using AI and machine learning in powerful yet practical ways…and not just from me, but from our CTOs and Fellows (the leading experts on this stuff :)) who are at the forefront of turning artificial intelligence into business and life intelligence.